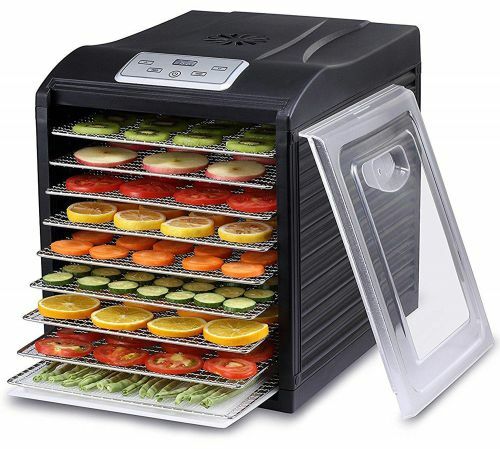 Tag Archives for " magic mill "
One more fantastic food dehydrator in our review guide collection is MAGIC MILL PRO Food Dehydrator. You must be thinking that now what makes this machine different from others that we are discussing it in our article? Well! The MAGIC MILL PRO food dehydrator is one of the spacious, extremely efficient and powerfully working machines which help you in preserving an extensive range of foods. This appliance has more than 6 square feet of dehydrating space which lets you dry out all categories of nutritious foods in big batches. In fact, you can save your lots of time with the help of its automated features which also make the drying process almost effortless.